Scott's most revered novel, written in 1791, is a love story set in the Middle Ages. The hero is a Saxon knight, Wilfred of Ivanhoe, whose personal chivalric code comes into conflict with the corruption of his arch-rival, the Knight Templar Brian de Bois-Guilbert. 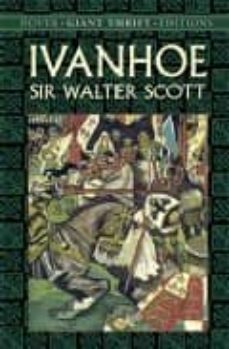 Ivanhoe is also torn between the woman to whom he is betrothed, Rowena, and a saintly young Jewish woman, Rebecca, who loves him. The cast of characters also includes Richard the Lionhearted, Robin Hood, and the fabled Black Knight.